Like old fashioned windmills, today’s wind machines (also called wind turbines) use blades to collect the wind’s kinetic energy. The wind flows over the blades creating lift, like the effect on airplane wings, which causes them to turn. The blades are connected to a drive shaft that turns an electric generator to produce electricity. In 2008, wind machines in the United States generated a total of 52 billion kilowatthours, about 1.3% of total U.S. electricity generation. Although this is a small fraction of the Nation’s total electricity production, it was enough electricity to serve 4.6 million households or to power the entire State of Colorado. 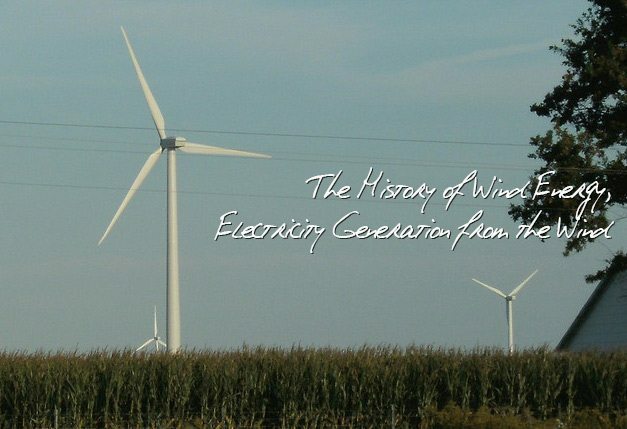 The amount of electricity generated from wind has been growing rapidly in recent years. Generation from wind in the United States nearly doubled between 2006 and 2008. New technologies have decreased the cost of producing electricity from wind, and growth in wind power has been encouraged by tax breaks for renewable energy and green pricing programs. Many utilities around the country offer green pricing options that allow customers the choice to pay more for electricity that comes from renewable sources to support new technologies. Wind is a form of solar energy. Winds are caused by the uneven heating of the atmosphere by the sun, the irregularities of the earth’s surface, and rotation of the earth. Wind flow patterns are modified by the earth’s terrain, bodies of water, and vegetation. Humans use this wind flow, or motion energy, for many purposes: sailing, flying a kite, and even generating electricity. The terms wind energy or wind power describe the process by which the wind is used to generate mechanical power or electricity. So how do wind turbines make electricity? Simply stated, a wind turbine works the opposite of a fan. Instead of using electricity to make wind, like a fan, wind turbines use wind to make electricity. The wind turns the blades, which spin a shaft, which connects to a generator and makes electricity. Take a look inside a wind turbine to see the various parts. Wind power plants, or wind farms, as they are sometimes called, are clusters of wind machines used to produce electricity. A wind farm usually has dozens of wind machines scattered over a large area. The world’s largest wind farm, the Horse Hollow Wind Energy Center in Texas, has 421 wind turbines that generate enough electricity to power 220,000 homes per year. 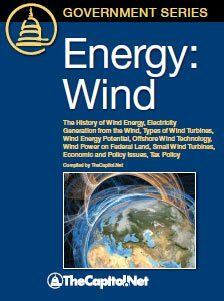 Many wind plants are not owned by public utility companies. Instead, they are owned and operated by business people who sell the electricity produced on the wind farm to electric utilities. These private companies are known as Independent Power Producers.